Well, we are right in the middle of another eBook marketing experiment – literally right in the middle, since the Free eBook Promotion runs from January 2nd – 4th. We are once again promoting the Cycling eBook I wrote, titled, “Rediscover your Joy with Bicycles and Cycling.” The book is available as a free download from the Kindle Store during those three days. We figure it’s a great way to help folks who received a new bike for Christmas, and to also a way to get our name out there again during a slow time of year for cycling products. it also helps us to promote our cycling website, Mile-Hi Cycle Guy. The last time we did this Promotion, during a large professional bicycle race in Colorado last August, we gave away nearly 500 eBooks. Better than that however; we also proceeded to sell about 100 of the books following the promotion! Giving stuff away takes work – Just making something free is not enough. You have to let people know that you have something they may be interested in using. In fact, I am/will be spending about 2-3 hours a day during the 3-day promo just letting people know the eBook is available at no charge. Post to your website or blog every day of the promotion – To remind everyone your eBook is available for FREE, and to notify new visitors to your website or blog. You really can’t expect your entire audience to see it the first time. Post a teaser to your blog or website – At least two days in advance of the promotion. Don’t give away too much information, just let your readers know that something cool is on the way and ask them to check back to find out what it is. Post to Social Media 2-3 times a day – each day – of the promotion – To engage interest and promote sharing of the information. Your Facebook friends, as well as fans of your page, are the most effective way to get the word out. 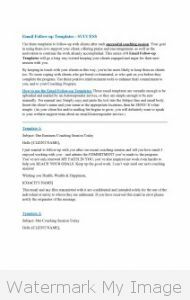 Use Press Releases daily – We are using a free PR service, PRLog. Why? Because we are cheap that’s why. Hey, I’m giving stuff away here. I don’t want to have to pay for the privilege too. Follow up on any complaints about problems downloading the eBook – We actually had a problem this morning, the very first day of the promotion. A gentleman posted to our Facebook page that he was unable to download the eBook and, after trying for 15 minutes, he quit trying. I advised him to close and reopen his browser and try again and – it worked! He is now a happy camper. Update the text, if applicable – Which is something we did a while ago by adding a couple of Bonus Chapters, essentially links to important cycling information. But, just before the promotion, I also went in and reworked a few chapters, adding information and editing out of date info. Everything changes, right? Just because you’re giving it away doesn’t mean you can’t offer value by keeping the text up to date. I was stunned and delighted by the testimonial we recently received from Andrea Kalli, Virtual Assistant, and VA Classroom Instructor. What a great recommendation she gave us. It was clear she liked the content we produced for her, she continues to use us after all, but this was more than anyone could hope for. Working for, and with, people like Andrea is just one of the great benefits of doing what we do. 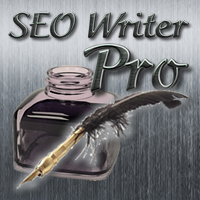 In fact, she was the inspiration for beginning SEO Writer Pro. Thank you Andrea…you are the best. 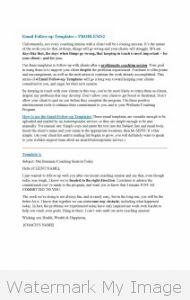 “I have been using Richard at SEO Writer Pro to help write SEO content for my various business websites for over a year now. From blog content, to website pages, to press releases, Richard has never once disappointed me with his high quality and search optimized content that has been instrumental in my rise in the Google search results. A recent project I assigned to him was the complete blog content for a brand new website I was launching. 30-50 blog posts in a topic he was not an expert in. His research in the topic and the SEO/keyword targeted blog post content he provided has been spot on AND the content is quickly rising to the top of Google’s search results pages after only a few weeks of being published. That’s what the right optimized content does for you.